A low centre of gravity design gives more stability while working on slopes. 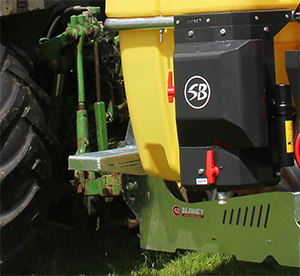 Combined with the close mounted, slim-line design there is improved front axle balance allowing a smaller tractor to be used. 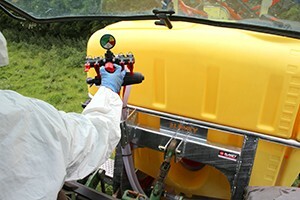 With 20 years experience in manufacturing spraying equipment we have become accustomed to utilizing processes and materials for outstanding performance which have proven to stand the test of time. 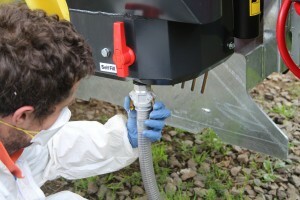 The Blaney TGS sprayer range utilises high specification pumps. These are all positive displacement triple diaphragm pumps that are oil filled and self priming to achieve excellent performance. 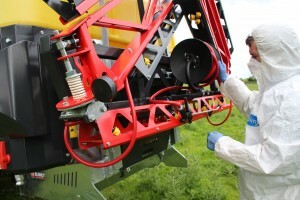 The pumps provide excellent resistance to any abrasion and corrosive chemicals for longer life. 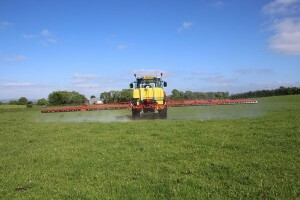 A high performance control system along with the standard anti-drip nozzles prevent chemical leaking from the nozzles, and ensures they only spray once the optimum pressure has built up in the line. Blaney also offer a compact 230L sprayer equipped with an 11.5LPM pump and a 4m or 6m boom. For smaller applications why not try our ATV Sprayers & booms manufactured by Quad-X our ATV machinery division, available in 60L – 230L capacity with optional booms to cover 16ft. 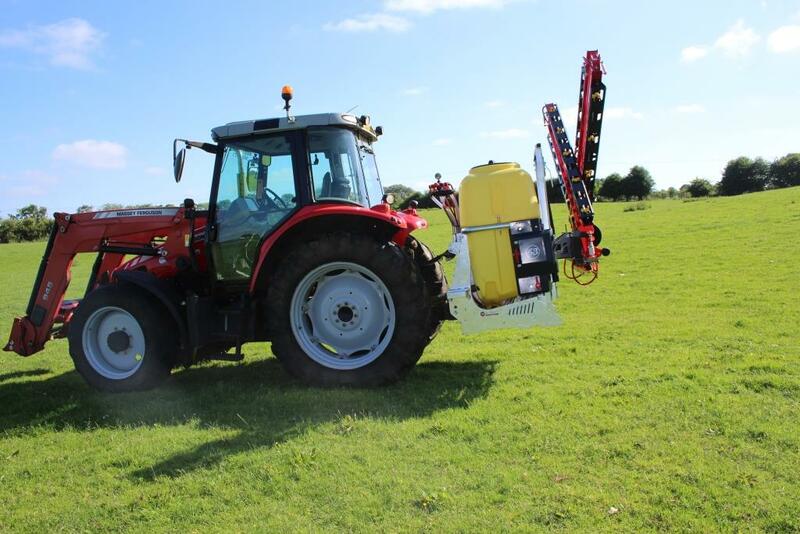 The Blaney TGS sprayer range utilises high specification pumps, 80-140lpm. 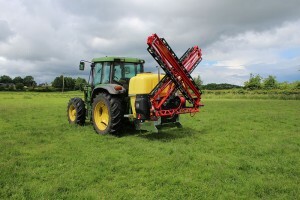 The pump has been relocated to make the PTO longer for reduced working angles for increased lifespan. 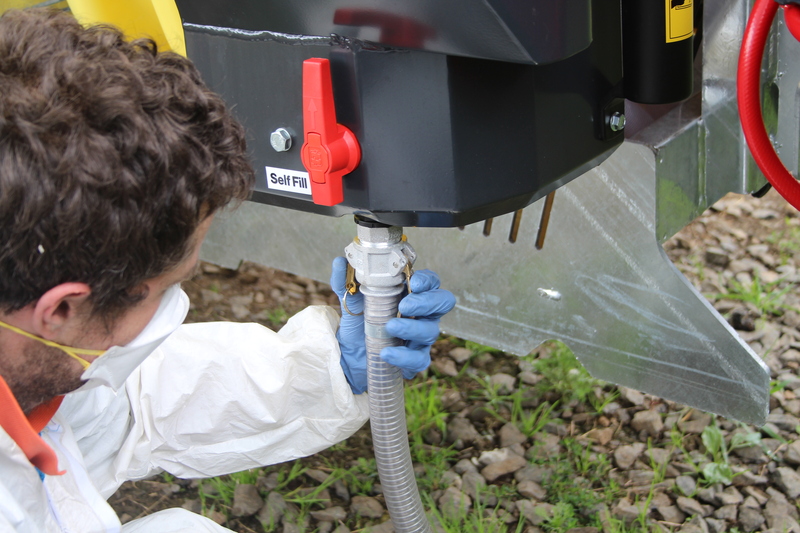 The pumps provide excellent resistance to any abrasion and corrosive chemicals for longer life. 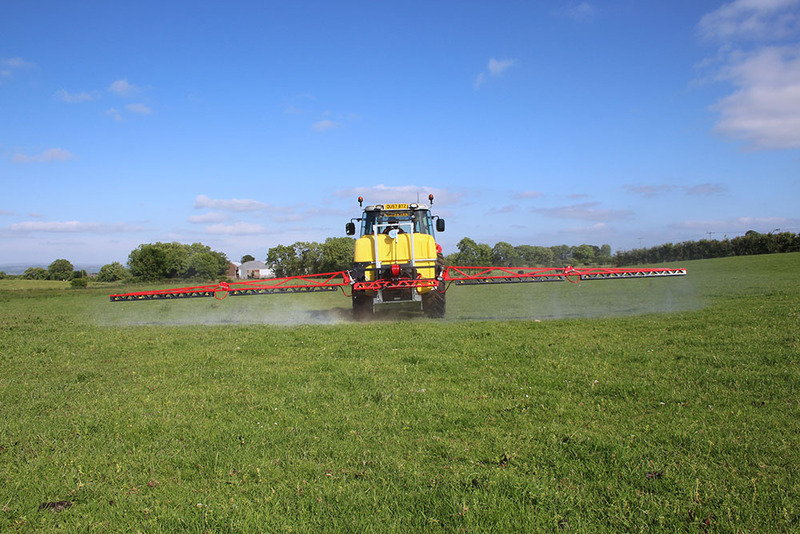 A high performance control system along with the standard anti-drip nozzles prevent chemical leaking from the nozzles, and ensures they only spray once the optimum pressure has built up in the line. 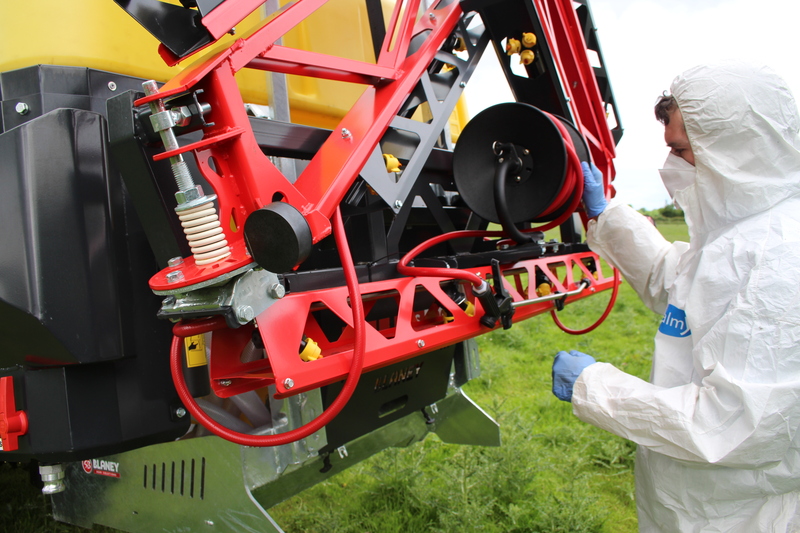 The slimline design of the Blaney Agri Sprayers ensure they are compact and easy to use. A low centre of gravity design gives more stability when working on slopes. 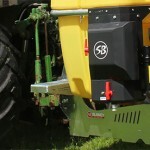 Being close mounted as well as slim line, there is improved front axle balancing allowing a smaller tractor to be used. 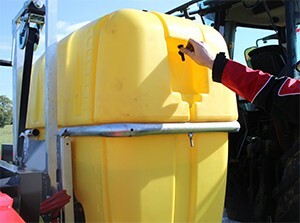 The tanks are designed with a low fill height and steps each side for easy access to the lids. Additional clean water tank as standard to flush booms after use to prevent build up of chemical in nozzles causing blockages. 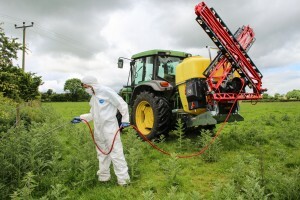 Additional hand wash to comply with new spraying regulations. 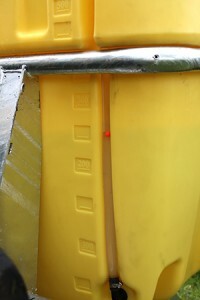 The tanks are all UV protected for long life, making them yellow in colour. This provides protection if tanks are left in storage outside where they are subject to the sunshine, when tanks without UV protection can become brittle and crack. 2-way safety breakaway safety feature: fitted as standard with a spring-back and auto reset function to prevent damage to the boom if collisions occur with boundary fences etc. 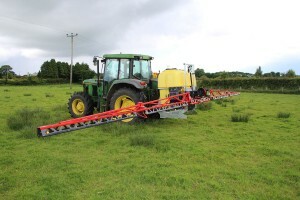 Multi Section Cut Offs: Fitted with easy to use controls to adjust pressure settings and control the multi section cut offs if you need to switch off a wing of the boom. Improved Valve Layout: Equipped with an improved valve layout for easy access making it easy to switch between wash tanks as and when required. Adjustable height & angle settings: Adjustable height and angle settings of the outer sections. This helps protect your investment by allowing you to make adjustments in order to keep within the boundaries of the new test regulations where little allowance is given for errors of alignment. The Blaney Deluxe Booms offer a unique protection guard to shield the nozzles against the wind for a more accurate and efficient spraying pattern. 8m-12m wide: A choice of boom widths is available including 8m, 10m, 12m and a 4m or 6m boom which is available with the compact 230l sprayer.